Twelve South is back with its latest well-crafted device. 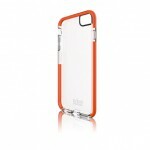 The company designs accessories only for Apple products, and the new ParcSlope continues that tradition. As the name suggests, it is a metal stand made from a seamless sheet of steel. It is designed to lift your MacBook screen to a more ergonomic height, helping to cut down on neck strain. 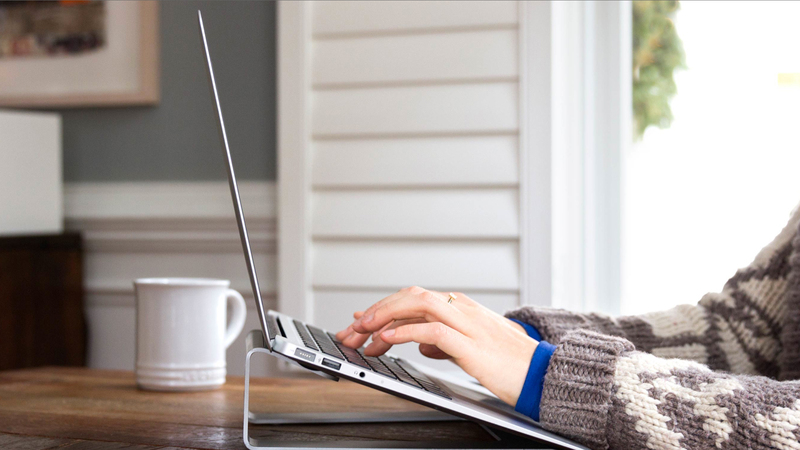 The stand, which weighs in at a svelte 2 pounds, also places the keyboard into a comfortable typing angle of 18 degrees. 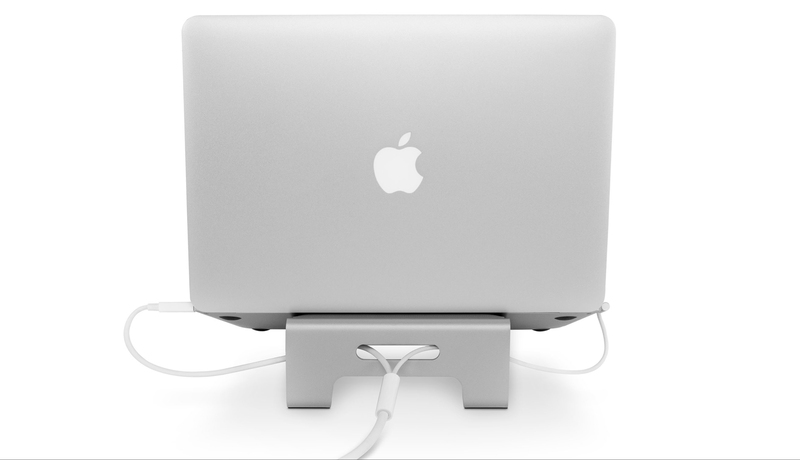 The stand can fit any size MacBook Pro or MacBook Air. Your laptop is held in place with a soft silicone lip while rubber feet on the bottom of the ParcSlope protect your desk. A hole on the back of the stand allow for management of cords, including USB cables that can sync and charge your iPhone or iPad. The ParcSlope also features built-in cord management. The ParcSlope can be ordered now from Twelve South’s site now for $49.99. As an interesting side note, Twelve South selected the ParcSlope name to honor the history behind the Mac itself. You can read more on that at Twelve South’s blog. We’ll hopefully have a review of the ParcSlope soon. But it looks to be another great accessory for your Mac laptop. 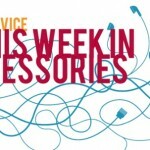 For other recent accessory news and reviews, see: Review: Tech21’s Classic Shell Case protects the iPhone 6 Plus without weighing you down, This week in accessories: Smartphone Ring of Light, WaterField Bolt Briefcase and more, and Case maker Urban Armor Gear sends a protected iPhone 6 into lower space.